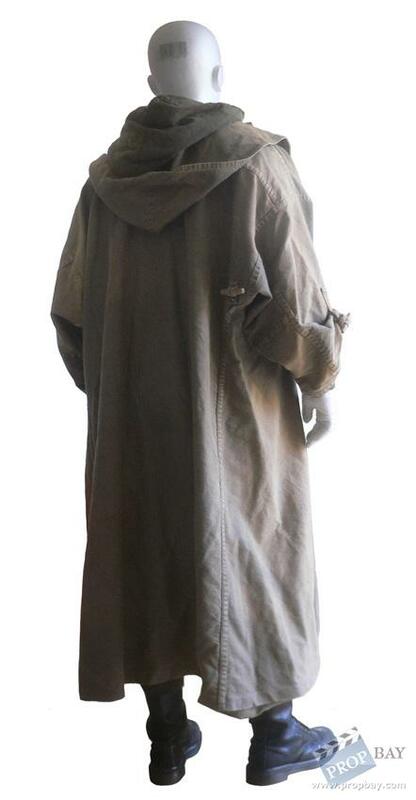 This is a complete FIORINA 161 inmate outfit as seen in David Fyncher's film debut ALIEN 3. It was designed by Bob Ringwood & David Perry. The costume is complete and in excellent condition. It was patiently acquired from different sources over the years. 1 pair of black boots 100% similar to the ones used one screen was added to complete the display. They were heavily weathered in order to perfectly match the rest of the costume. The amount of details on this costume is phenomenal, from silkscreened marks added here and there to laces, stitches, dyeing effects, eyelets, etc… Most of these subtle textures and details aren't spottable at all on screen but they give an idea of the extreme dedication and great professionalism of the costume department (image 4). The duster coat still has a leather label on the inside that bears the name DAVID (image 5). 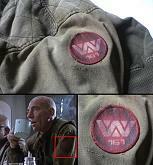 This character was portrayed by the great Peter Postlethwaite. The barcode tattoo came from an original fax (image 7, bottom photo) sent during production where the make-up crew was notified that this design had been greenlighted by David Fincher. It perfectly fits in size and design to what can be spotted in some production photos, so a copy of it was sticked to the back of the mannequin's head. 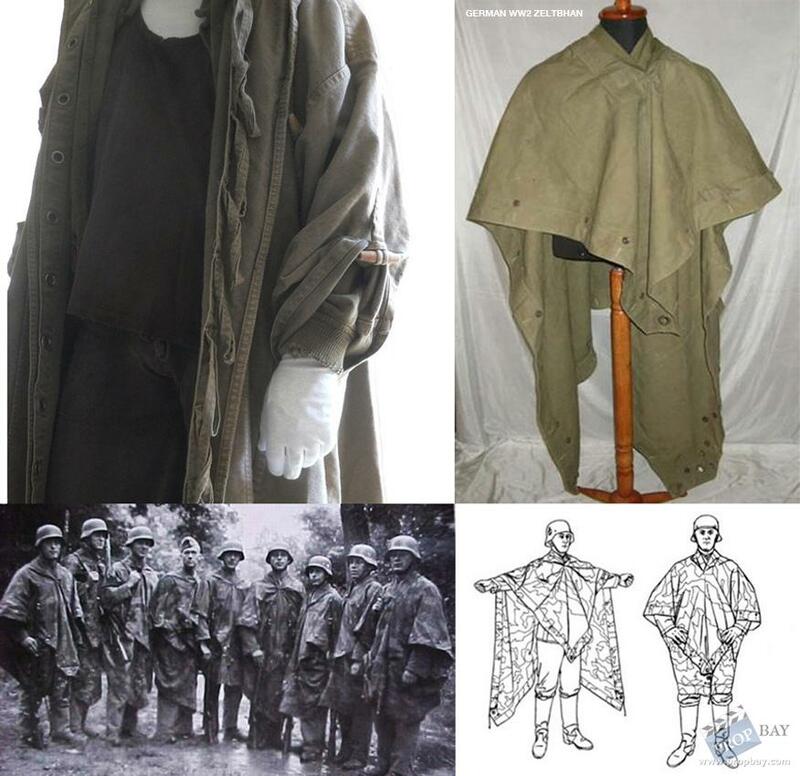 It's interesting to note that I stumbled on photos of WW2 german ponchos named "Zeltbhan" (image 8). 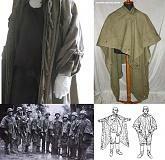 These kind of ponchos could be turned, when assembled to others, into tents of various sizes. I'm sure they were used as main inspiration and reference for the duster coats worn by the inmates because the fabric, color and even eyelets look similar. I'm also quite certain that Auguste Rodin's "Les bourgeois de Calais" sculpture was another source of inspiration for the costume designers (image 9). When you compare this imposing bronze sculpture to certain scenes of the film, you have the impression they came from the same hand… above all, they both share a strong and tragic medieval vibe. Added: 04-06-2014 - Viewed: 2644 times.